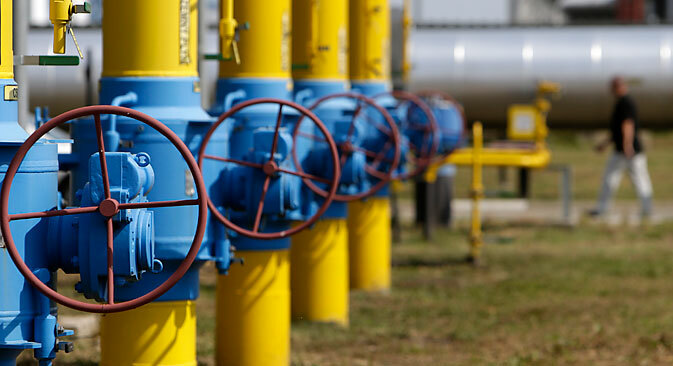 A “stress test” conducted by the EU shows that if Moscow shuts off the gas pipelines that pass through Ukraine, it would send the European economy into a deep freeze. One should never corner a bear. Unfortunately, that’s what western governments are attempting to do with Russia. Besides being myopic, it seems the West also has a death wish. For, not only is the Russian economic crisis making its impact felt around the world (remember we are living in a globalised economy) but trying to destroy the Russian economy could invite a fierce backlash from Moscow. World War II happened for a variety reasons; one of them being the attempt by the US to choke the Japanese economy and the second was the massive reparations imposed on defeated Germany after World War I. You get the picture – humiliation and economic strangulation are enough for any country to go to war. Let’s say things get so bad that Russia feels cornered and decides on a desperate everything-or-nothing gambit. It could, for instance, stop deliveries of natural gas to Europe in order to ratchet up the crisis and force the West to come to the negotiating table. Unlike the West, Russia has never resorted to economic blackmail and is unlikely to turn off the gas spigot, but then desperate times may require desperate measures. The question is how effective will that weapon be. A "stress test" conducted by the European Commission in August 2014 to find out the resilience of the EU’s energy system to a potential crisis in winter brings grim news for Europe: if Russia shuts down the pipelines, Europeans will freeze. The EU currently imports 53 per cent of the energy it consumes. It imports 88 per cent of its crude oil, 66 per cent of its natural gas. From Russia, the EU imports 39 per cent of its gas and 33 per cent of its oil requirements – that’s no small beer. The report was so alarming that it was kept away from the European Parliament for nearly three months. The analysis examines, among other things, how the European economy would cope if Russia blocked gas deliveries from September 2014 to February 2015. 3 billion cubic meters through non-delivery to certain industries, and by so-called fuel switching – the use of other fuels in gas-fired power stations. Again, that’s in a best case scenario. In reality, “it is technically difficult in a distribution network to separate protected customers from non-protected customers.” Households that should be getting gas might well run out as their gas would be used elsewhere. Across the Atlantic, the US warmongers are patting themselves on their back for having beaten down the price of oil and having mauled the Russian bear. But here’s the rub. The fall in oil prices will maul the US too. Here’s how. US energy imports are currently at their lowest since the 1960s on the back of the shale oil boom. American motorists are delighted with lower prices at the petrol pump. But the shale oil industry was built on massive borrowings – we are talking junk bonds – and consequently the industry’s oxygen is high oil prices. Most of these hundreds of shale oil projects – and ancillary industries – were greenlighted when oil was hovering at $110 a barrel. Even at $80 the industry kept investing billions of dollars, hoping prices would climb back. However, $50 is shale oil’s Hiroshima. The shale oil industry is so big that if goes bust, it will take the American economy with it. And if the Russians time their apocalyptic move with the shale implosion, then all bets are off the global economy. For better or worse, we’re all in this together.